We leave for Park City tomorrow! While I’m not looking forward to making the drive with a 5 week old who doesn’t seem to enjoy her car seat much, I am really looking forward to being away from it all for a week. While we have free WiFi in the condo, I’m not sure how connected I’m going to be. We tend to try and take a break from it all when we are on vacation. So there may not be any posts again until the 18th or 19th. Since I know most of you really only check the blog in hopes of new pictures of Sky I will leave you with two new pics. Her new swimsuit fits! 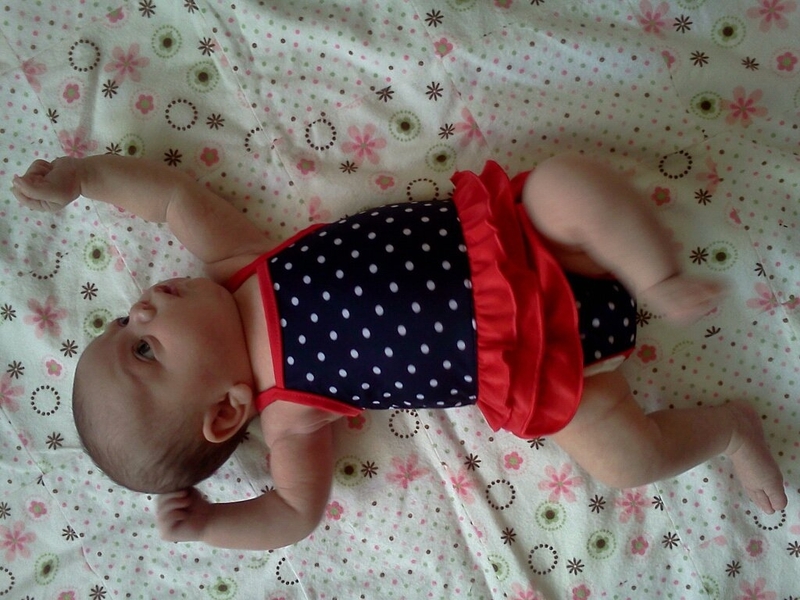 Even though she still can’t be in the sun yet she is going to look cute at the pool! There is an adorable cover-up that goes with it as well. 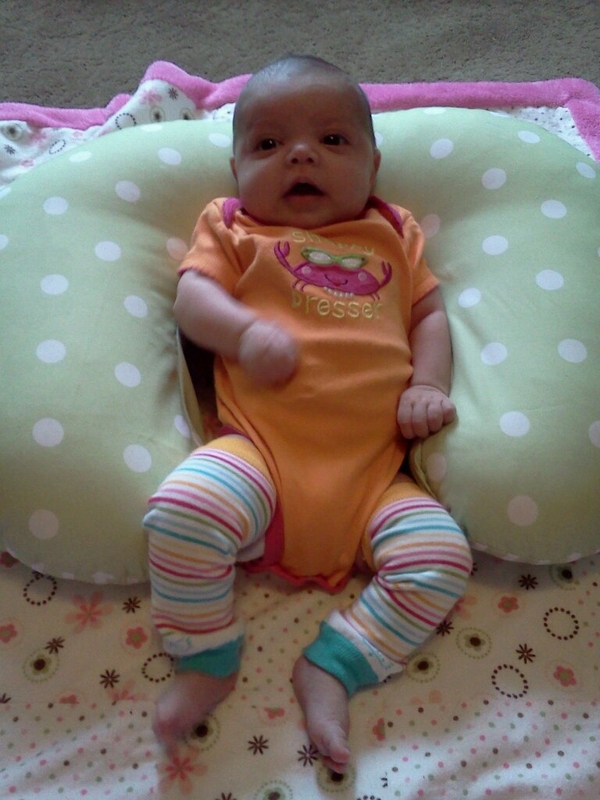 Her new Baby Legs! I love these things. I have been patiently waiting for the pair my cousin gave me to fit. My friend El gave us this NB pair and they fit! So cute!! I’m a little sad that it seems like it may be time to see if the 0-3 month stuff fits. Some her NB stuff is getting tight, and since the swimsuit and cover up are 0-3 months and fit perfect I think it’s time to try some new stuff in the next size up. After her morning nap I’m going to play dressing room with her for as long as she will tolerate it. P.S. I feel like a real runner…I’m packing my running stuff and plan on hitting a few trails in Park City. I have found a few runs that look like they will be really pretty. The thought of not running for over a week makes me crazy!